Girl Scouts of the USA is excited to launch BFF (Be a Friend First), a national bully-prevention initiative for middle school girls. Based on GSUSA's popular aMAZE! leadership curriculum, the program helps girls to recognize and intervene in bullying situations and lead positive change in their schools and communities. Sadly, statistics show that when a girl is bullied, 85 percent of the time nobody steps in to help her. 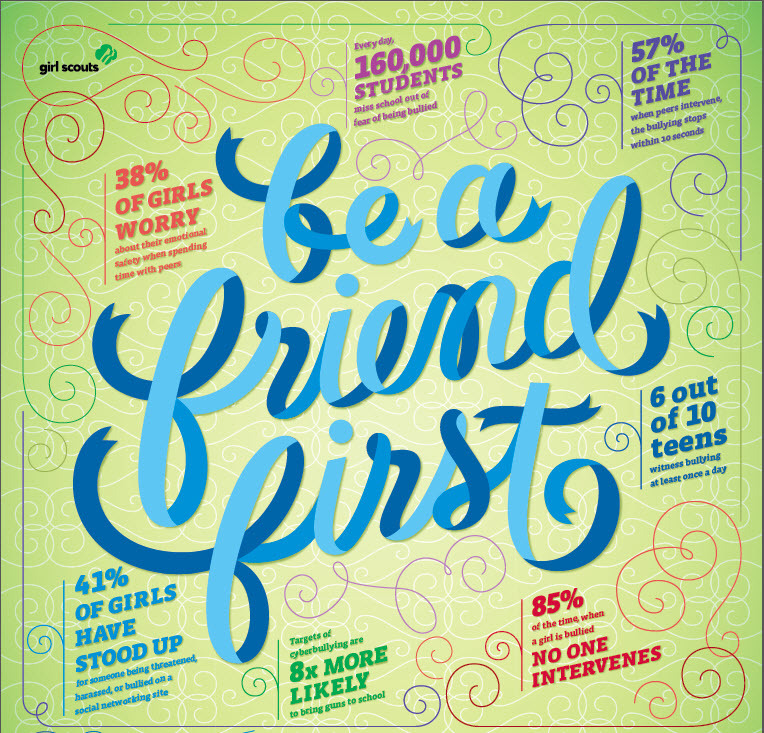 As part of a recent contest, Girl Scouts Speak Out! received PSAs from girls around the country who had a lot to say about bullying. The Washington Post reports that Hannah, a High School freshman, entered the contest to create an anti-bullying public service announcement Although there’s no talking in the Hannah’s video, the message is clear. “When you’re exclusive and mean you don’t make any friends, in fact you just make enemies,” Hannah wrote in her contest entry. The video, called “Cliques”, won first place. The national competition encourages girls to create videos about important issues. Five finalists were chosen by online voting, and “Cliques” was among the top five, with more than 5,300 votes. Girl Scout officials picked Hannah’s video as the winner. “Cliques,” which was filmed at Hannah’s school, stars 15 of her friends. The need to prevent bullying is more important than ever because such behavior can affect a girl throughout her life. Bullying statistics show that almost 1/3 of all students ages 12--18 report that they have been bullied at school and 160,000 children miss school each day out of fear of being bullied. 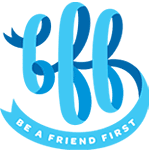 For more information on BFF and how you can get involved or bring the program to your area, look here!